Chinese Prime Minister Wen Jiabao sent an upbeat message to new Japanese Prime Minister Shinzo Abe on Tuesday, pledging to work tirelessly to improve relations between the estranged Asian powers. The message was delivered as Abe succeeded Junichiro Koizumi and immediately promised to work to repair ties with neighboring countries while describing China as Japan's "most important" partner. Wen told Abe that China was willing to make "relentless efforts to develop friendly, neighbourly relations of cooperation between the two countries," according to a brief statement published on the foreign ministry's website. He also "expressed that China is willing to stand side-by-side with Japan," the statement said. China and Republic of Korea, which suffered under Japanese imperialism, refused to meet Abe's predecessor, Junichiro Koizumi, due to his visits to a war shrine associated with Japan's militarist past. The two countries viewed Koizumi's visits to the Yasukuni shrine as evidence that Japan had not fully accepted the tragedy caused by its past aggression. Abe is known to have views to the right of Koizumi on history but has not said if he will also visit the Yasukuni shrine, which honors war dead and war criminals alike. Chinese foreign ministry spokesman Qin Gang urged him on Tuesday to "match his words with deeds." "China's position on the Yasukuni shrine is consistent and clear," Qin said. "We hope that the new leader of Japan can work towards the improvement of Sino-Japanese relations. "Sino-Japanese relations are important not only for China and Japan but for all the region," he added. Earlier in the week, US Secretary of State Condoleezza Rice said she expected Japan to "start to move" closer to China under Abe's leadership. "I think that you will see Prime Minister Abe try to make some improvements and I think the Chinese will be receptive to that," Rice told The New York Post on Monday. At his first news conference as prime minister, Abe expressed Tuesday his willingness for dialogue and improving ties, noting it was imperative for Japan that China enjoyed peaceful development. "The door is always open on the Japanese side," he said, adding that the countries needed to talk when there were problems. "For that goal I want to make efforts, too. I really want the two countries to take a step forward," Abe said. "Japan is an Asian nation. I would like to strengthen efforts to tighten ties with China, South Korea and Russia," Abe added. The 52-year-old, who has vowed to rewrite Japan's US-imposed 1947 pacifist constitution, on Monday picked Hidenao Nakagawa to lead the country's ruling Liberal Democratic Party. Nakagawa is a fellow conservative but also has close connections to China. He has said he will try to repair relations between the two countries. 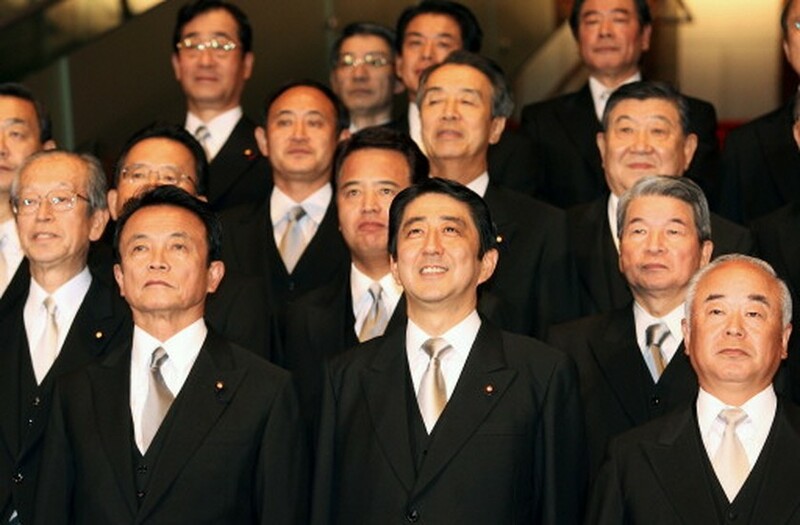 With a reputation as a foreign policy hawk but vague on the economy, Abe filled his first cabinet with trusted hands after the departure of veteran premier Koizumi, who remains popular. "As the first premier born after the war, I will lead firmly in the right direction. I will make Japan a country full of chances, kindness and dynamism. I will begin creating a new country," Abe told a televised news conference. The statement on the Chinese foreign ministry's website also congratulated Taro Aso for his reappointment as Japanese foreign minister. Aso said Tuesday he would try to arrange a meeting between Abe and Chinese President Hu Jintao, possibly on the sidelines of an Asia-Pacific forum in Viet Nam in November.